Jones Lang LaSalle have released their Q1 2013 office market leasing update. Across the country, the nation's capital cities recorded negative net absorption of 90,700 square metres in the first quarter of 2013, with 78 per cent of this increase attributable to a rise in sub-lease availability. 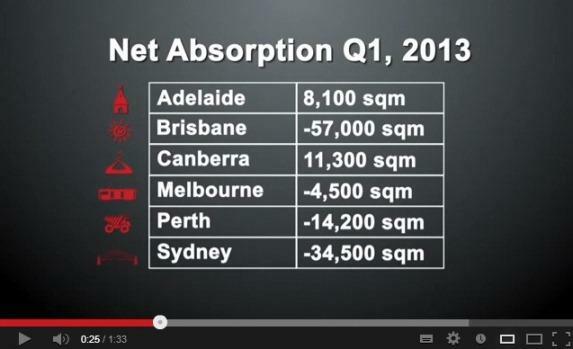 Four out of six of Australia's capital cities recorded negative net absorption.